Hey guys! 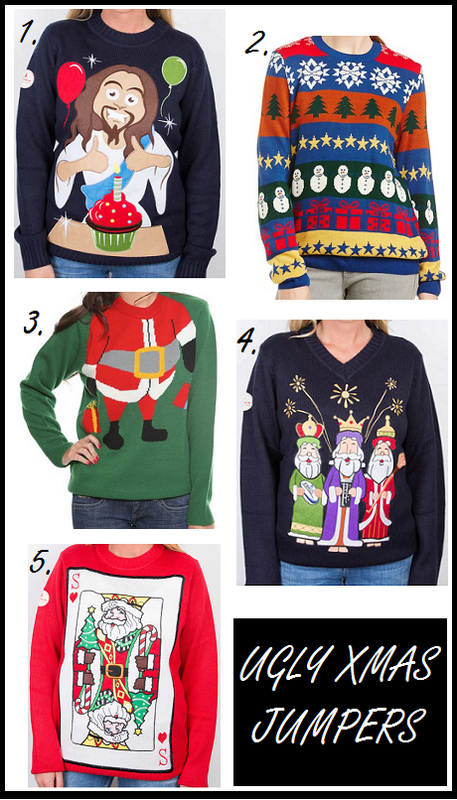 I was looking at Christmas jumpers the other day which you may already know if you saw my top Christmas jumpers 2014 blog post, and while I was looking at jumpers I came across some that weren’t so nice. Some of them are funny but still, they aren’t the prettiest jumpers. I thought you might like to see them too because they are quite funny. What’s even more funny is that they are all pretty expensive, and I don’t know why you would spend so much money on a hideous jumper. They aren’t in any particular order and if you want more information about them, they are all linked below. What do you think? Would you wear any of these? Which do you think is the worst? Leave a comment down below. Next Post Merry Christmas Everyone! !